by Brian Keierleber P.E., County Engineer, Buchanan County, Iowa; Alex Davis P.E., Assistant County Engineer, Buchanan County, Iowa; Hosin “David” Lee Ph.D., P.E., Professor, University of Iowa. 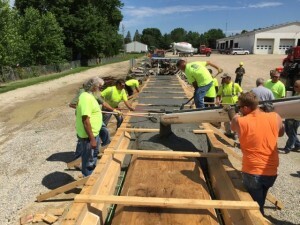 Description: Iowa’s Buchanan County is leading the U.S. implementation of a new ultra-high-performance concrete for extended bridge service life. 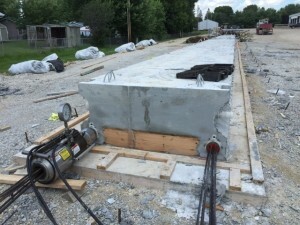 The concrete, termed K-UHPC, was used in the six 52-ft-long precast post-tensioned pi-girders and longitudinal closure joints of the single-span Deacon Avenue Bridge in Buchanan County, constructed in September 2015. 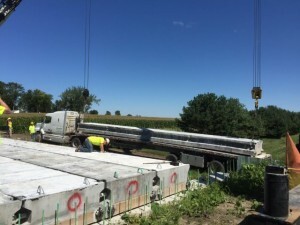 The project was a collaborative effort between Buchanan County, the Iowa Department of Transportation, the University of Iowa’s Laboratory for Advanced Construction Technology (LACT), and the Korea Institute of Civil Engineering and Building Technology (KICT) in South Korea. This presentation describes the planning, design, and construction of this innovative ABC project.